Q. Where may I access an application for admission? A. All applicants must apply using the Nebraska admissions application located here: https://mcle.wcc.ne.gov/admissions/login. This system has been configured to work best with Google Chrome. It is strongly encouraged to use this browser when completing the application. Q. What is a "valid" law license? A. A valid law license means an active law license. Q. If I do not take the Nebraska Bar Examination will my fees be refunded? Q. How do I withdraw my application if I do not take the Nebraska Bar Examination? Q. Does Nebraska require the Multistate Professional Responsibility Examination (MPRE)? A. Yes. You are required to receive a scaled score of 85 or higher for admission. If you do not have a passing score at the time of application, you may still apply to sit for the Nebraska Bar Exam, but you are required to pay an additional $100.00 fee. If you are applying for admission on Motion, and you are a Class 1A or Class 1C applicant, you must provide the Nebraska Bar Commission with an official score report of 85 or higher earned no more than three years before your application. An MPRE score is stale three years after its publication date. Q. What is required for a non-UBE bar exam to be "equivalent to" the bar exam administered in Nebraska for a Class 1A application? A. The non-UBE exam must contain the same components with a comparable weighting to qualify as "equivalent to" the Nebraska bar exam. The required components are: a minimum of three hours dedicated to a performance test, a minimum of three hours dedicated to essay questions on substantive law, and the multistate bar exam. Email nsc.attyadmissions@nebraska.gov for more information. Q. How do I have my UBE score transferred to another jurisdiction? A. The Nebraska State Bar Commission does not complete the transfer requests. Visit the National Conference of Bar Examiners- UBE Transcript Services page for information on how to transfer your scores. Q. How do I have my MBE score transferred to another jurisdiction? Q. How do I submit a change of address? A. Use your online admissions account. Once logged in, choose "My Account" and make any contact information changes on that page. In addition, complete an "Residential Address Amendment Form" and upload it under 'Applicant Documentation' of your online application. Email nsc.attyadmissions@nebraska.gov once this has been completed. Address changes will not be accepted over the telephone. Q. Why do I need to get fingerprinted? A. All applicants are required to be fingerprinted as provided under Neb. Rev. Stat. § 7-102(2). Also see Neb. Ct. R. 3-114(H). Fingerprints are submitted to the Nebraska State Patrol for a national criminal history record information check by the Identification Division of the Federal Bureau of Investigation (FBI). Applicants must complete a notarized authorization form to permit the Bar Commission to request the criminal history record from the FBI. Q. Who completes the Affidavits for Applicants Moral Character forms? A. Two citizens of good standing in your community whom you have not already listed as a reference in the application. These people should have known you for at least one (1) year. Q. Who is ineligible to sign the Affidavits for Applicants Moral Character forms? A. Anyone already listed in your application as a reference. Family members and fellow applicants to the bar applying for the same examination. Q. How long does it take to complete the Admission by Motion process? A. Approximately 120 days for a standard application. Q. Does the Nebraska State Bar Commission have copies of prior exams? A. No. You may access prior exams through the National Conference of Bar Examiners website. Q. How may I obtain a copy of my application? A. Complete the request form (found on the Forms page) and submit it to nsc.attyadmissions@nebraska.gov. Copies are $20.00 each for either a certified or non-certified copy. Payment options are listed on the request form. Q. Do you have a late application option for bar exam applicants? A. Yes. Up to 30 days after the exam application deadline you may submit a completed application by paying an additional $150.00 late application fee. Q. What is required to use my laptop for the written portion of the bar exam? A. Each examination period, applicants will be notified of the fee amount, specific dates and instructions for the registration period provided for downloading examination software. Laptop users are required to submit a notarized liability waiver before being approved by the director to register and download the bar examination software. Only applicants who have been approved by the director will be permitted to use a laptop for the examination. Any applicant who does not complete the laptop registration process by the deadline date will automatically be assigned a seat in the handwriting section. Q. How much are annual license fees (dues/assessments)? A. Contact the Nebraska Supreme Court Attorney Services Division Help Desk at (402) 471-3137. Q. 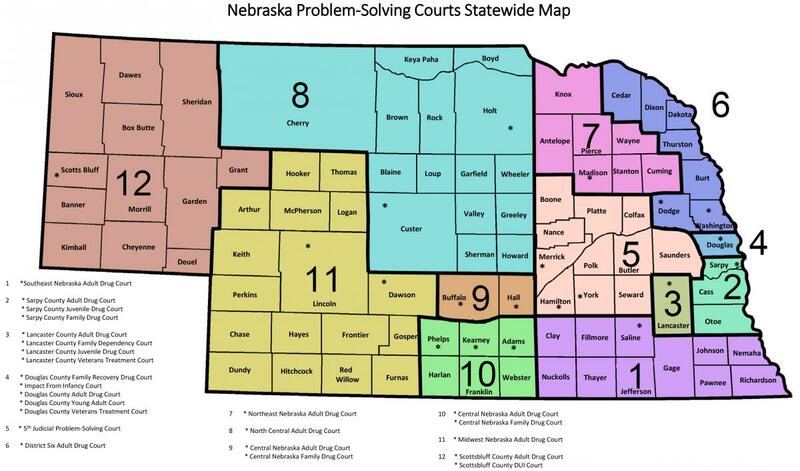 What are the telephone numbers for the Nebraska Supreme Court Attorney Services Division Help Desk, Mandatory Continuing Legal Education, the Supreme Court Clerk’s Office, the Counsel for Discipline and the Nebraska State Bar Association? * These fees include a $25 processing fee. Examination Fee: The $515.00 exam application fee must accompany the application and must be paid online when submitting the application. The Nebraska State Bar Commission does not accept cash, personal checks or firm checks. No MPRE Score: Exam applicants are required to pay an additional fee of $100 if they do not file a passing MPRE score of 85 or higher before the final deadline for applications. Examination Laptop Fee: Applicants who wish to take the written portion of the bar exam using a laptop computer (that is provided by the applicant) must pay to register and download the exam software 4 to 6 weeks before the exam date. Full details are provided with written notification of approval to sit for the exam. Motion Fee: The fee for attorneys licensed in other jurisdictions and for applicants by UBE score transfer is $950. This fee must be paid online when submitting the application. Firm checks, personal checks and cash are NOT accepted. Classes 1A and 1C applicants must file no later than three years afer the publication of their bar exam scores. For exam applicants, the application must be completed and filed beginning September 1 and no later than November 1 for the February examination; and beginning January 2 and no later than March 1 for the July examination. Applications filed more than 30 days after the deadline will not be accepted. An application is filed when it is recieved by the Director, including all required documents uploaded. If an applicant has registered for the Bar Examination and withdraws less than 30 days before the date of the examination, only the portion of the fee charged for the MPT, MBE and MEE may be refunded. If applicant provides written notice of withdrawal from the exam at least 30 days before the exam, a written request may be made in writing to the Nebraska State Bar Commission to allow fees paid to be held over to the next available Bar Examination. If the Commission approves fees to be held over, a new application, along with new finger print cards are necessary for re-application. No refund is available for motion applicants who withdraw or are denied admission.